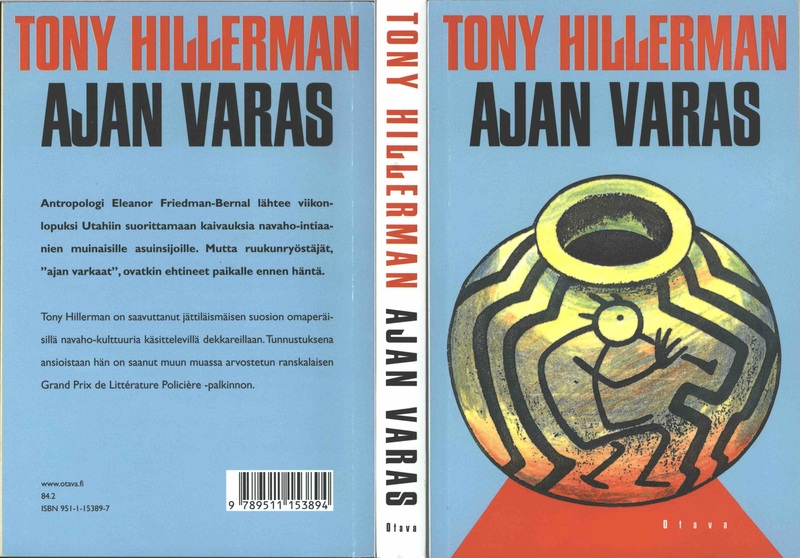 This is the full and detailed views of the second Finnish edition of Tony Hillerman's A Thief of Time. This version was published in 1998 by the Finnish publishing house, Otava in Helsinki, Finland. 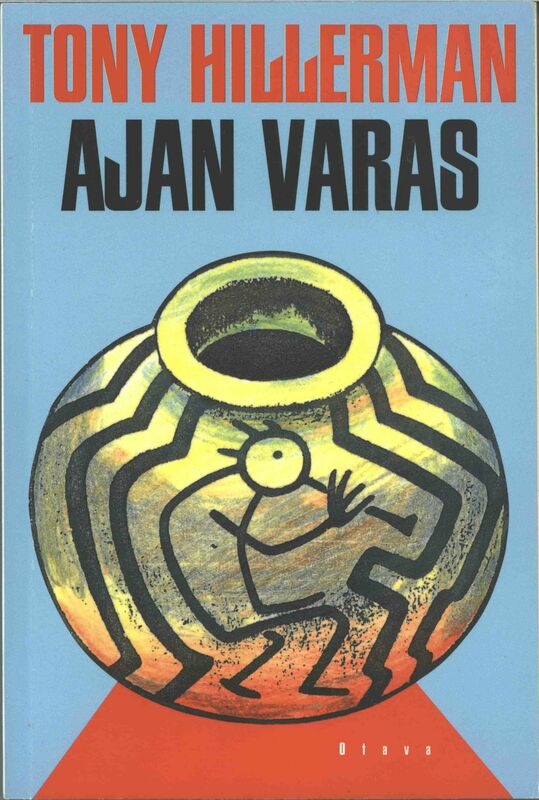 Cover design and art: Cover design not credited, but it adapts the image of a black-on-white ceramic vessel featuring the image of Kokopelli on a light blue background from Peter Thorpe's cover for the first edition of the novel.